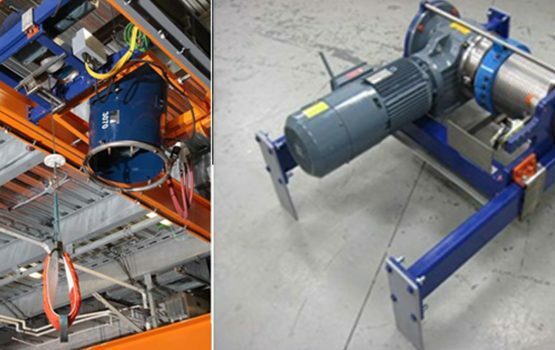 SSL’s standard variable speed hoisting system has a speed range of 0-40 m/min, with 1500 lb nominal, de-rated to 750 lb for personnel lift requirements. The system features a latching backup brake system, 24 VDC controls, and GFCI and integrated insulation monitoring. 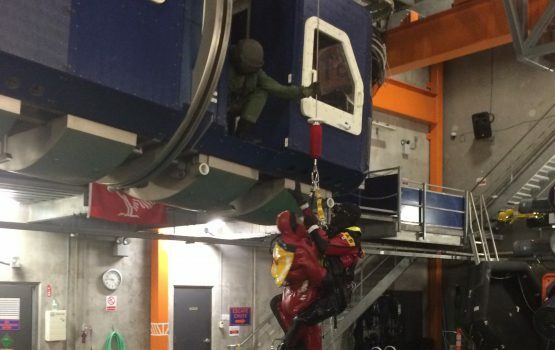 The system uses a 3/8″ non-rotational stainless steel wire rope and is equipped to simulate a helicopter rescue extraction by incorporating sound effects, rain, and downwash fans to give the candidate a truly realistic rescue scenario. Personnel-Rated Rescue Hoist can be customized to suit your needs. Please see the options below. If you have any questions, please contact us.